At the 2nd Holon Design Week, Israeli design shows it's ready for its international debut. Israeli design is ready for the world. There’s talent aplenty judging from the work that Israeli designers presented to a large group of design week directors from around the world – including Design Indaba’s expo manager, Kelly Berman – at the second Holon Design Week in April. Holon Design Museum, on the outskirts of Tel Aviv, invited the directors from cities such as Paris, Barcelona, Belgrade, Sophia, Eindhoven, Vienna, Beijing and Tokyo to Holon to introduce them to its diverse crop of design talent. The week was timed to coincide with a new exhibition curated by Galit Gaon, Designers Plus Ten: 42 Israeli Designers, on show at the museum until 19 May, which surveys the work of designers making a living from their craft ten years after graduating from college. The Holon Design Museum, housed in a swirling red icon of a building designed by Israel’s best-known design export, Ron Arad, has been carving out a name for its genre-crossing exhibitions since it opened in March 2010. Last January, Li Edelkoort took her exhibition Post Fossil: Excavating 21st Century Creation there, and the travelling exhibition New Olds: Design Between Tradition and Innovation, curated by Volker Albus, opened that May. Next up, the museum will host an installation by avant-garde fashion designer Yohji Yamamoto in July 2012. For Holon Design Week 2012, the museum took a less romantic approach to its showpiece exhibition, selecting a diverse pool of the country’s working designers who’ve shown a daily commitment to their craft. Most of these designers also participated in presentations to introduce the international directors to their work. Some of the designers whose work was on show have found commercial success while others remain poised on the fringes of the European design world, hoping to catch the attention of the large design manufacturers. The talent is definitely there; let’s hope the market notices. Product designers Li Levi from Israel and Jantien Roozenburg from the Netherlands, collaborate under the label Darom, based in the old port town of Jaffa. They start their working process by observing their environment – “be it a street, a museum or the human body”. Their “Separation Wall” bookends are modelled on the barrier that divides Israel from the West Bank. “The raw beauty of the concrete wall interrupts the passage of people and the view,” says Levi. 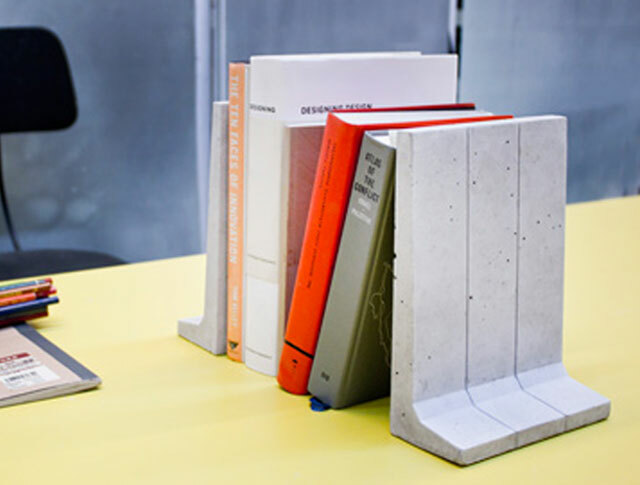 “It also stops culture and knowledge from passing between them.” They took this “beauty in an aggressive, confronting way” and turned it into bookends that now bring books – vessels of knowledge and culture – together. Naama Hofman’slighting designs sit somewhere between minimalistic art objects and functional design. 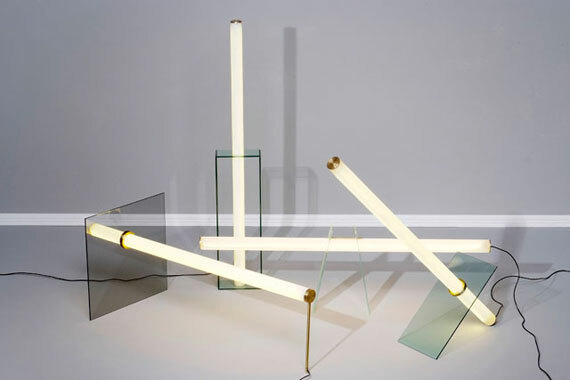 Preferring to call her pieces ‘light objects’ rather than lamps, she has developed a unique and pared down language of forms using acrylic light tubes, glass and bent iron pipes. The series of pieces she creates are simple and cleverly worked out, resulting in a body of work that is compellingly good. 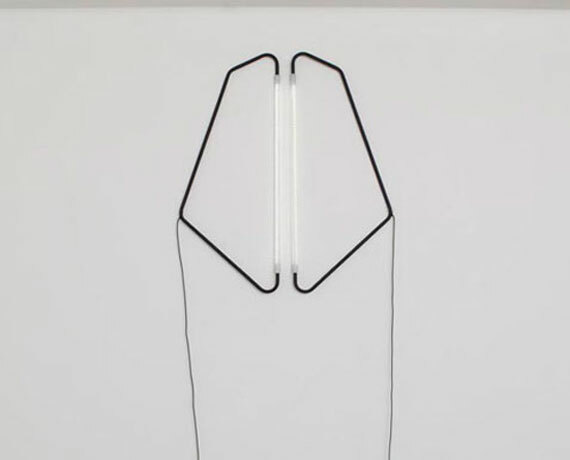 Her 005 Collection, for example, consists of four pieces, each of which features an acrylic tube containing LEDs that intersects supporting glass panels in different ways. Each light is a distinct composition using the same materials. In an earlier design by Hofman, “Light Object 004”, the light tube is part of a continuous geometric shape that fans outwards like a wing. Pair two or more in different combinations and a modular pattern begins to unfold. 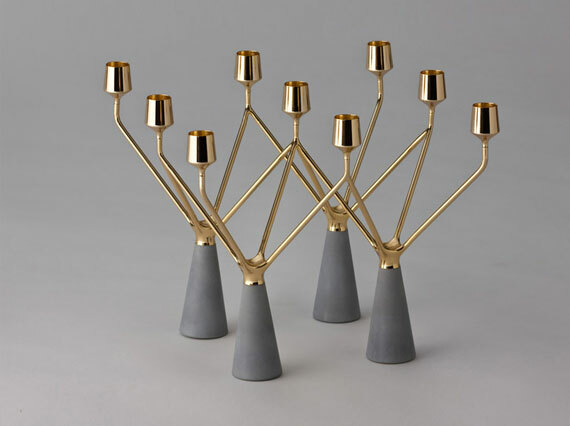 Karmon’s “Spring Light” menorah candle-holder – commissioned by Tollman’s, a local chain store that represents leading global designer brands – combines concrete and gold in a single piece that radiates light without even being lit. Michael Tsinzovsky has created a small collection of furniture that draws on Israel’s disparate cultural traditions. Made for his graduation project at Bezalel Academy of Arts and Design, the pieces speak volumes about the complex mix of influences in this tiny country: although the State of Israel is young, the country has a long and rich heritage, and while it is situated in the Middle East, in some ways it is more European in nature. 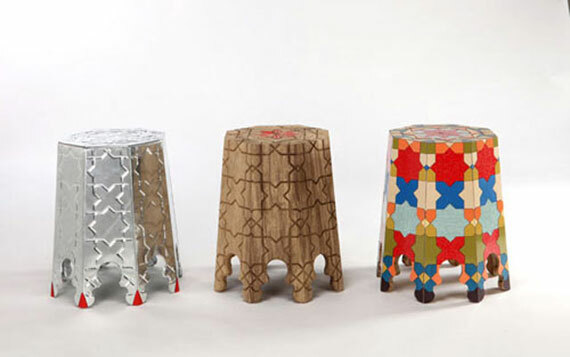 Tsinzovsky’s three stools illustrate the influence respectively of Arabic patterns, carpentry traditions imported by German immigrants in the 1950s and the coloured vinyl manufactured by Keter that is so prevalent in Israeli homes. Kfir Schwalb and Orit Magia’s Studio Shulab encompasses industrial design as well as graphic and spatial design. Their designs respond to everyday needs with a plain, pared-down aesthetic. 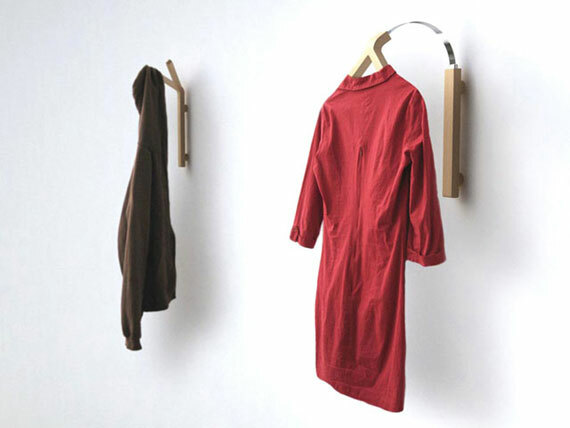 Good example are their clothes and hook rack designs, including “Y Hanger”, which sits on the wall and can either be used as a regular coat/hat/bag rack or, when the two arms are lifted up and curved down, as a clothes hanger. 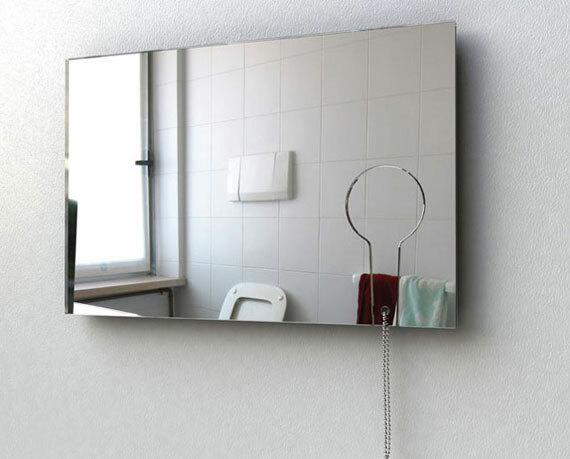 Their impressive “Mirror/Mirror” is a wall-mounted bathroom mirror, which incorporates a smaller detachable mirror that can be held for close-up tasks such as applying makeup, and eliminates awkwardly leaning forward to get a better view. Shiri Cnaani is a versatile designer who studied textiles at Shenkar School of Engineering and Design in Ramat-Gan and then transitioned to architectural lighting at Parsons School of Design in New York. 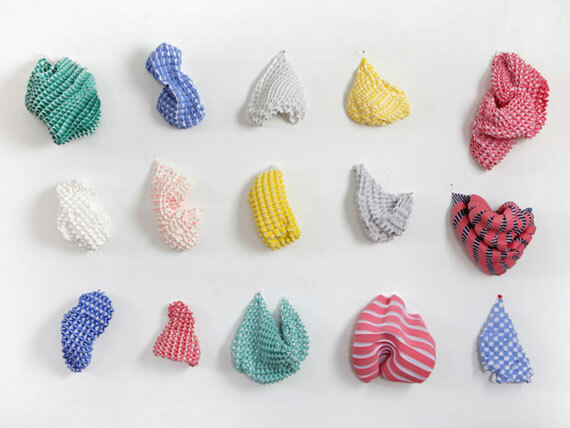 She has some interesting public space interventions under her belt, but her recent work involves developing a range of three-dimensional textiles that are pleated and then printed with flocked patterns. They’re extraordinary and strange, and suggest many applications in lighting, fashion and homeware. 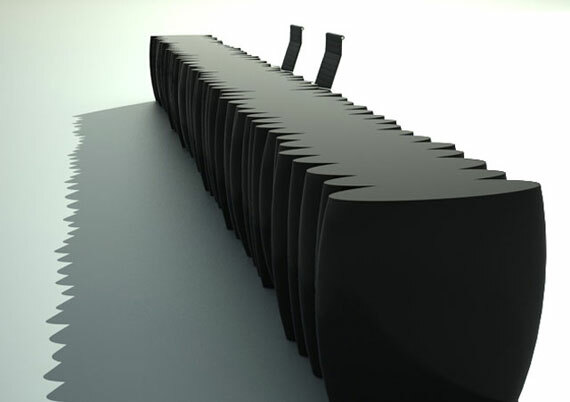 The “Sliced Desk” by Samuel ben Shalom was commissioned by Talents Design, a contemporary design studio and gallery founded by Gal Gaon. The limited-edition reception desk is from the Sliced range of furniture that was based on the image of smoke curls.“At the core of the Sliced project was the notion of creating a form that would continue to behave as an integral whole – no matter at what point it would be ‘sliced’,” says Gaon. 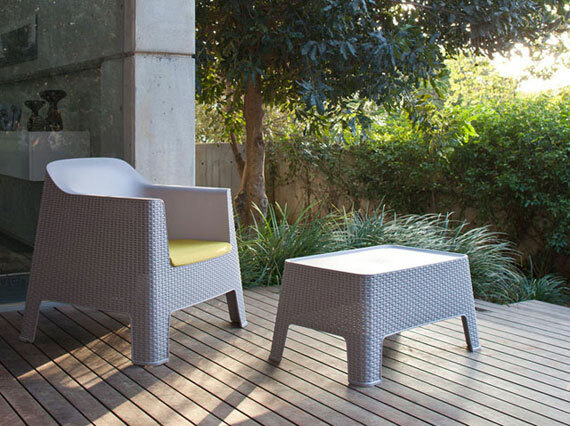 Talents has pioneered the development of exclusive, whimsical design pieces by a range of designers, such as the “Mad Cow” armchair also by Ben Shalom. Constantly searching for ways to breathe new life into agricultural waste, Adital Ela focuses on sustainability in all her designs. 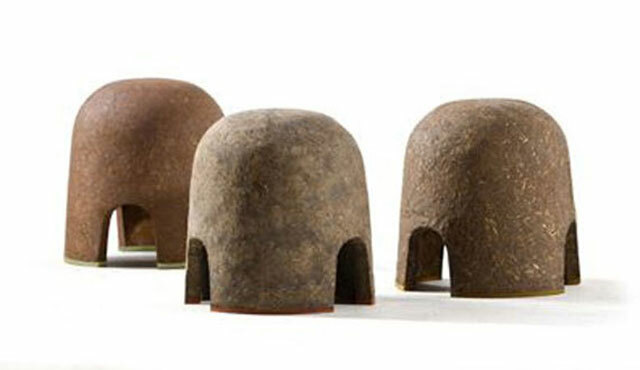 Her “Terra” stools are made from earth and natural fibres in a unique compression process that she developed out of long-term study of materials and ancient building methods.